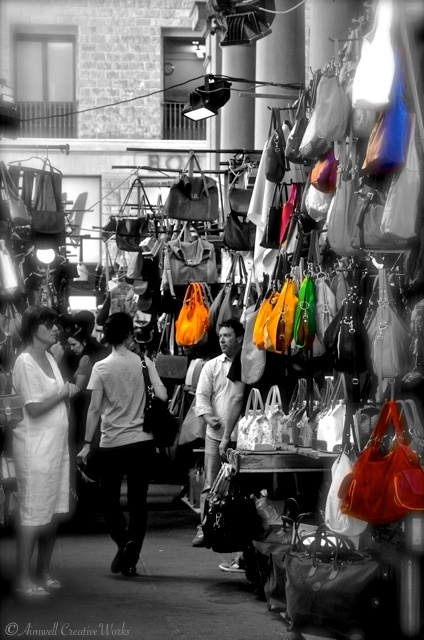 This entry was posted in Italy, Photography, Weekly Photo Challenge and tagged Aimwell CreativeWorks, black and white, Dorothy Chiotti, Firenze, Italy, market, monochrome, postaday, rainbow. Bookmark the permalink. Splendid !! a beautiful color selection effect !! I often find the muse amusing. 😉 … Thanks for stopping by and leaving a comment. Very well done post processing. Interesting image.